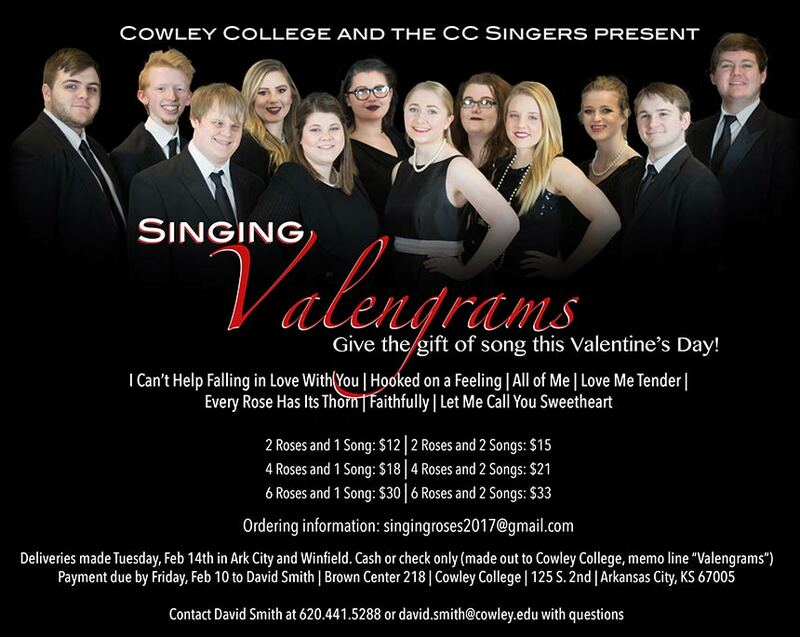 With Valentine’s Day approaching, send that special someone the gift of song by getting the Cowley College Singers to deliver a Singing Valengram. To order your Singing Valengram or for more information, contact David Smith at 441-5288 or at david.smith@cowley.edu or at singingroses2017@gmail.com. For just $12 the Cowley College Singers will deliver two roses and one song. Two roses and two songs is $15 and four other options are available. All deliveries will be made on Tuesday, Feb. 14 in the Arkansas City and Winfield areas only. All proceeds go to help support the Cowley College Singers.